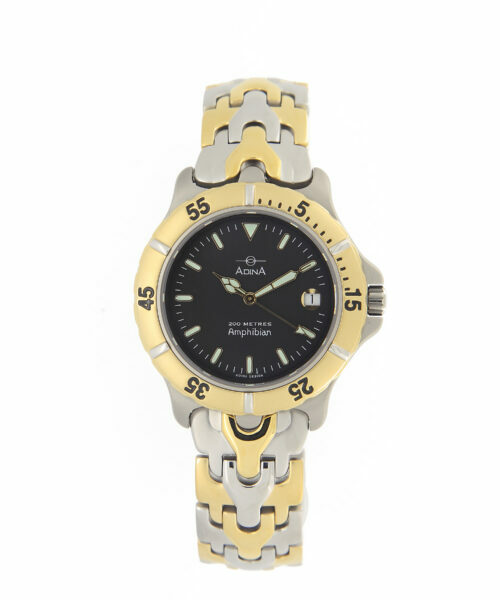 A symposium in style and statement in design. 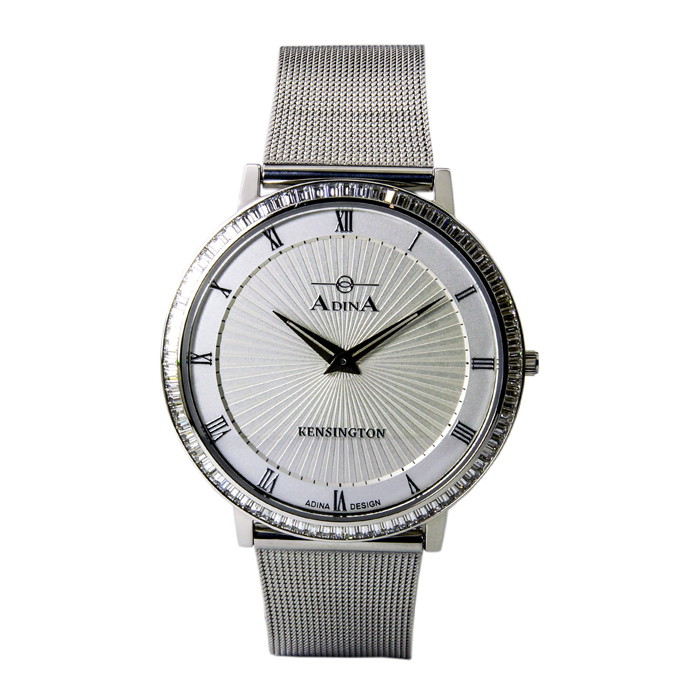 Large in personality yet with refined demeanor the Adina Kensington dress watch SW12 S1RB is sure to be a conversation starter in any situation and the Swarovski crystals are sure to add that touch of glamour. 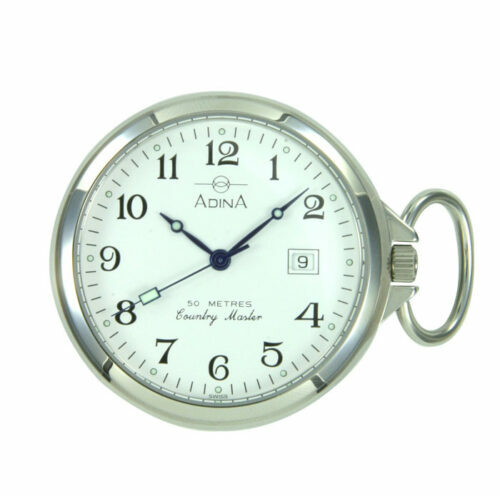 A talented and qualified watchmaker has hand assembled this watch for you, in Brisbane Australia. 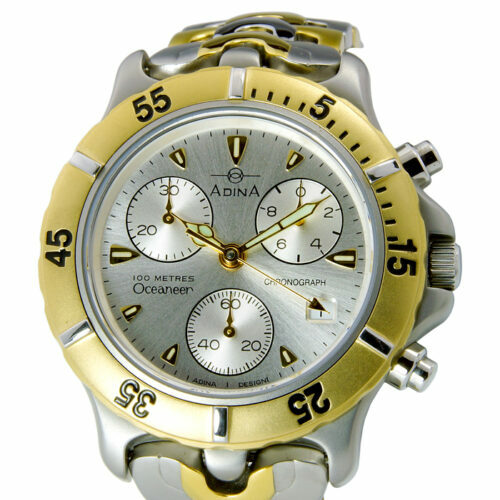 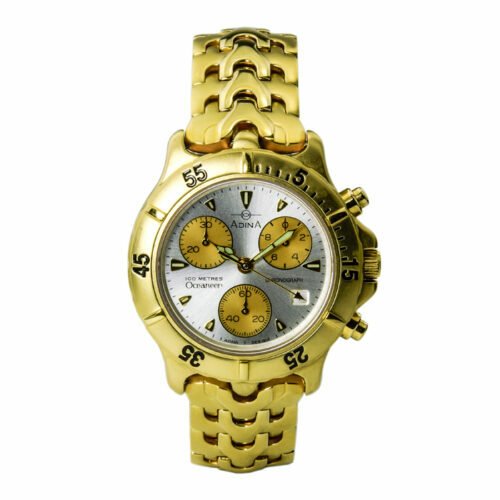 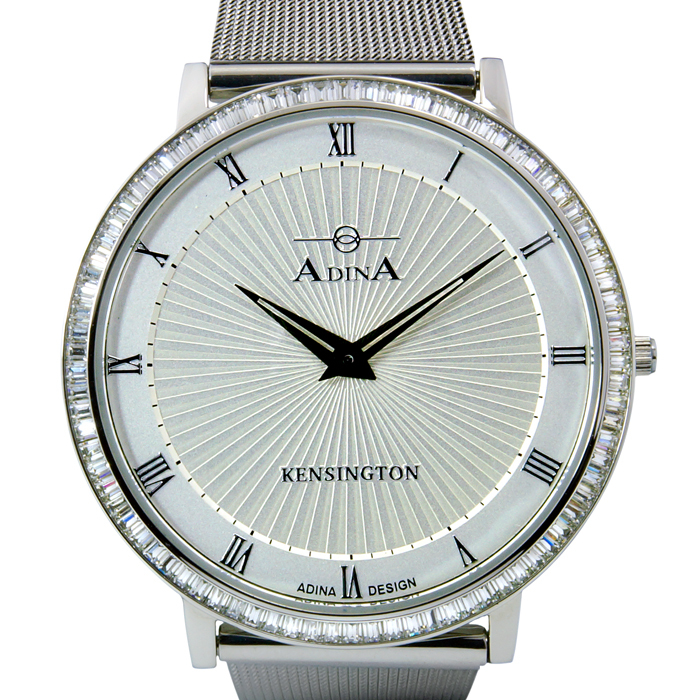 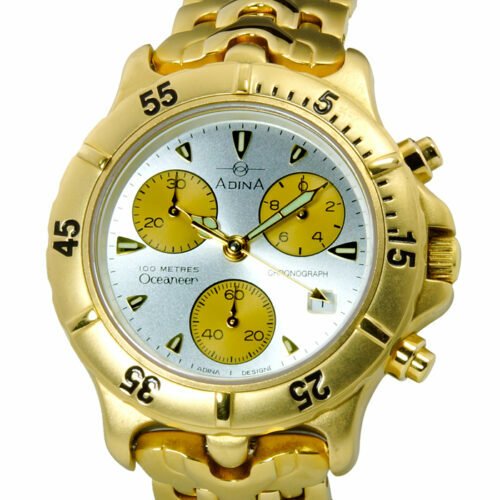 This Adina Kensington dress watch SW12 S1RB flat line 43mm stunningly channel set Swarovski bezel stainless steel case houses a fully repairable Swiss movement,in addition the case is equipped with a curved sapphire crystal for unparalleled aesthetics and scratch resistance.The Adina Kensington Collection all being 3atm water resistant are designed for everyday lasting beauty. 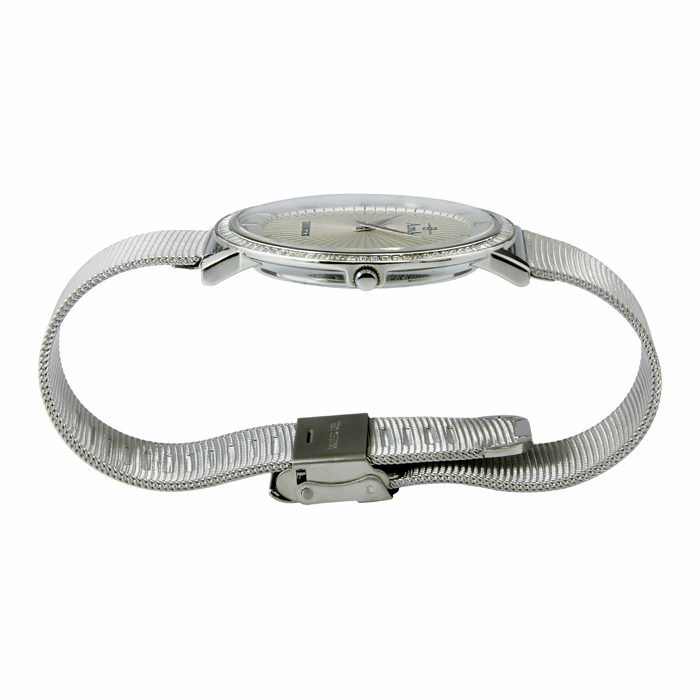 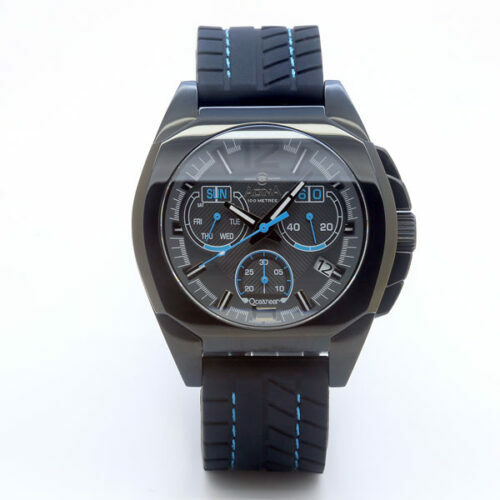 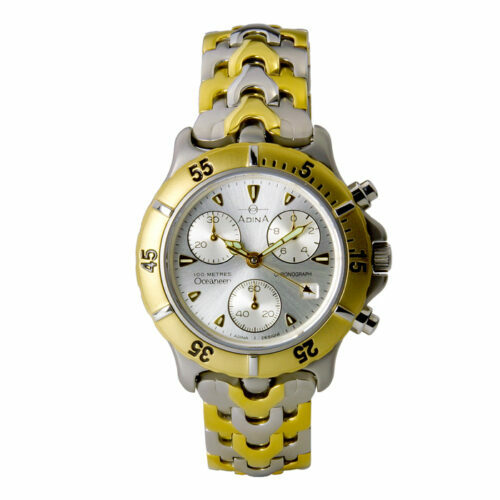 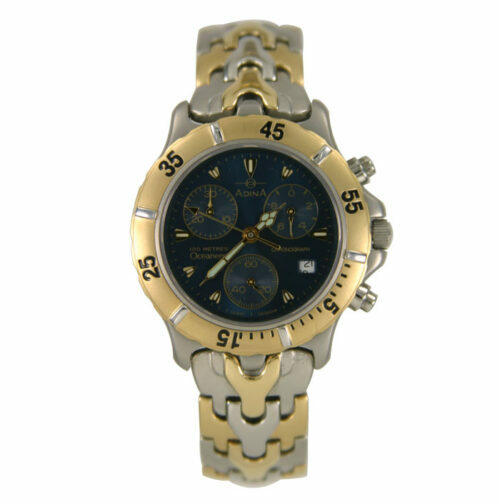 A luxurious looking and feeling mesh strap compliments this contemporary timepiece. 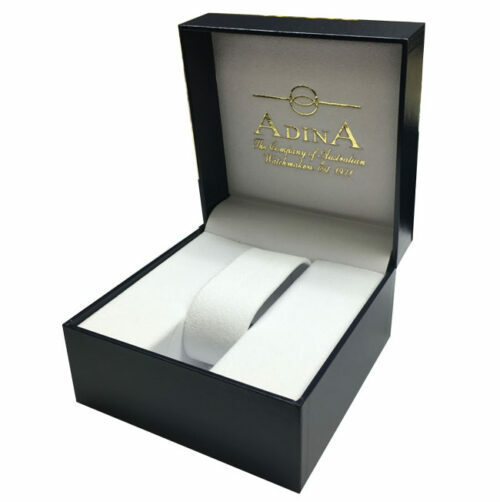 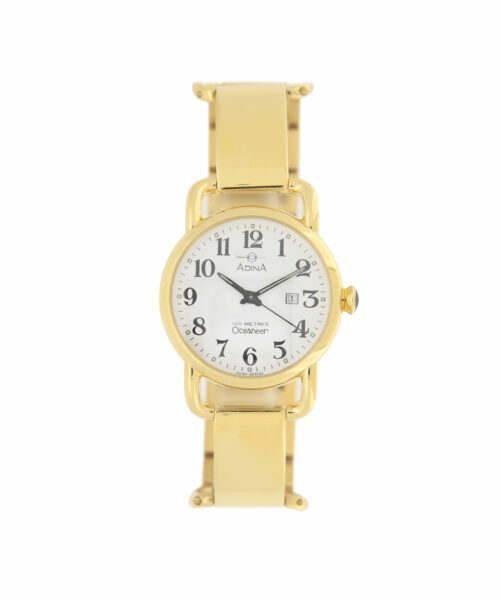 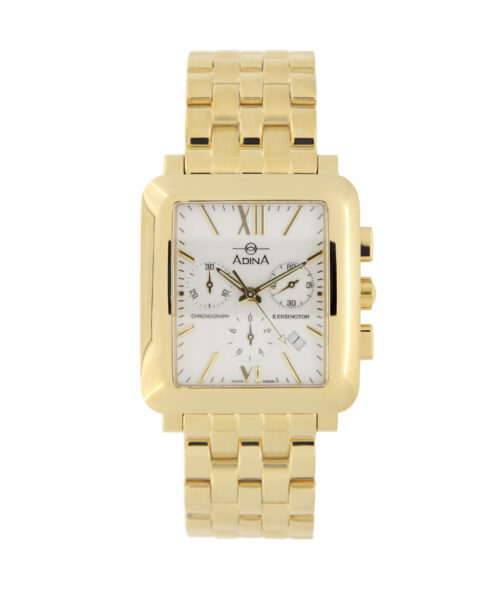 Also available in rose gold or classic gold finishes, this watch as all Adina watches was meticulously hand assembled by a watchmaker in Brisbane, Australia.